Warning signs are a standard design and the HSE have made a standard sign giving warning of a hazard or danger (eg danger: electricity). 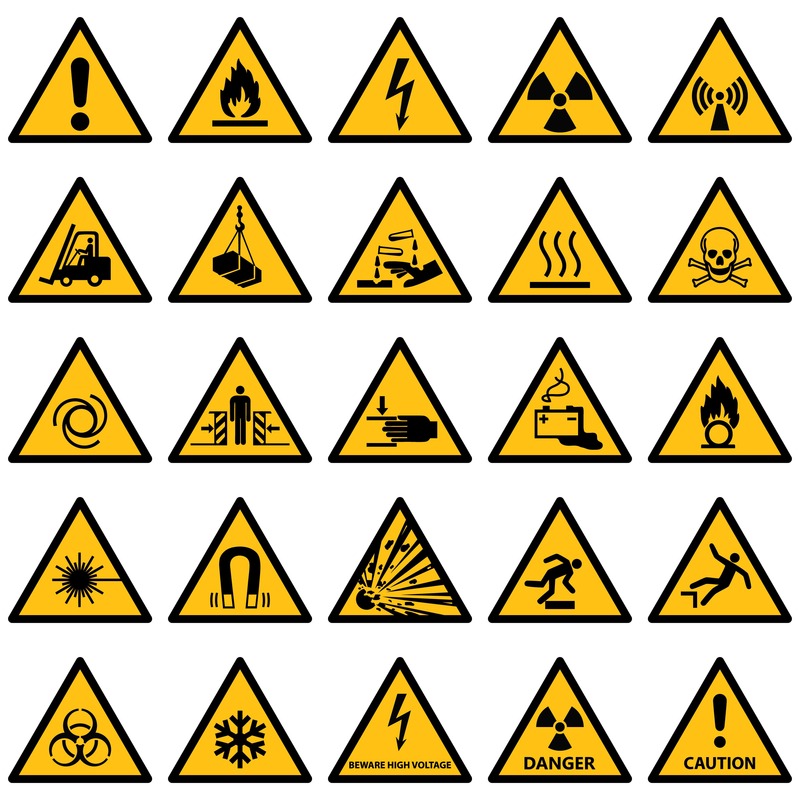 The intrinsic features of warning signs are that they are a triangular shape and have a black picture with at least 50% yellow background. Examples of warning signs can be seen on the HSE website.